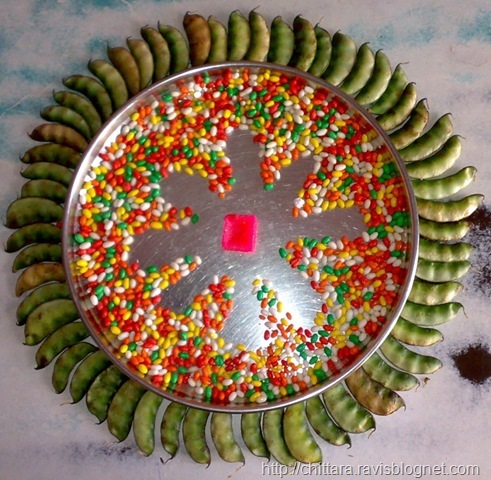 Sankranti is a national festival in India. The word is derived from sat and kranti, meaning "good movement." The festival takes place when the sun moves from Dakshanayanam to Uttaryanam. 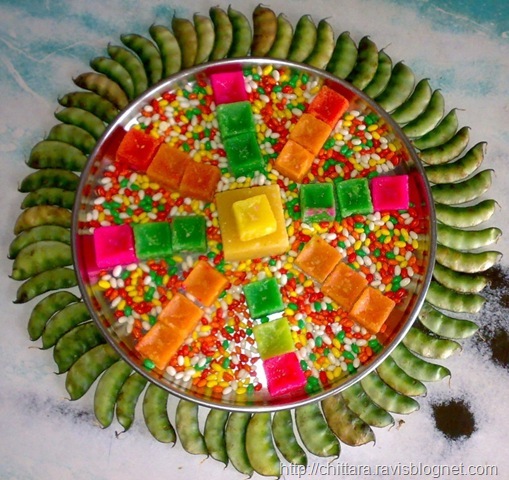 For the festival celebrated in: North India, as Makar Sankranti. Andhra pradesh, Karnataka as Sankranthi. In Tamil Nadu as Pongal. In Punjab it is celebrated as Lohri & Maghi. Gujarati's not only look reverentially up to the sun, but also offer thousands of their colorful oblations in the form of beautiful kites all over the skyline. Sankranthi as it’s called in Karnataka & Andhra Pradesh, Pongal in Tamil Nadu is a festival of farmers. It’s the symbol of abundances. It’s also called as ‘Suggi’. Sankranthi is one of the major Festival of India. Sankranthi, is so called because the day takes you from darkness to light; the path of light is open from today. On this day, the Sun starts on His northward journey by entering the Makara sign of zodiac. Change for good is Sankranthi. It reveals not only the beauty of the Divine. This day exhorts to glorify the occasion by new aspirations. It calls for the installation of God in your hearts, so that you may achieve victory in the game of life. 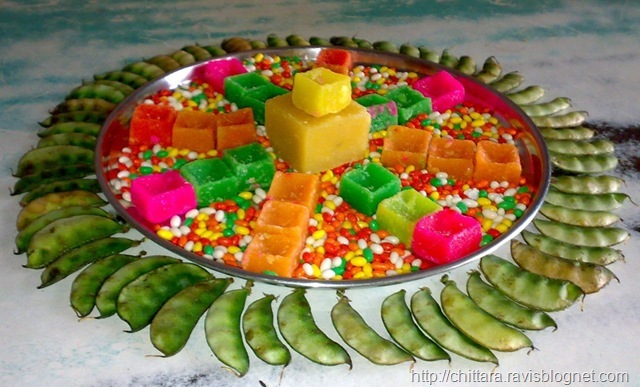 In other countries too the day is celebrated under different names and in different ways: In Nepal, Tharu people call it as Maghi, & Others call as Maghe Sankranti or Maghe Sakrati. In Thailand Songkranm, In Laos - Pi Ma Lao, In Myanmar – Thingyan. Each and every Festival in India is attached with a special kind of food, feast prepared on the occasion. It’s very special and will be prepared only during such festivals. 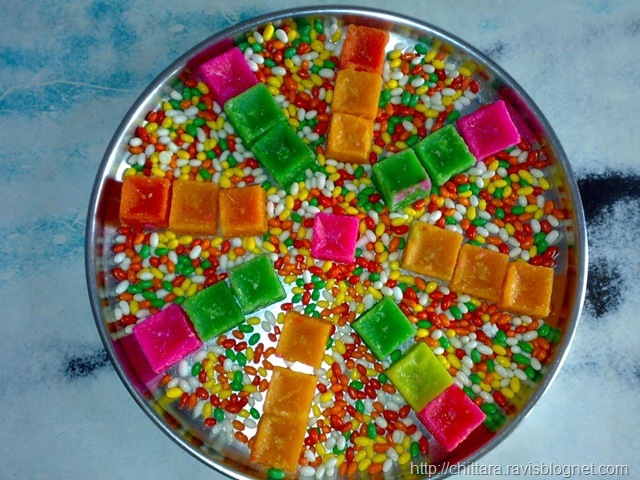 In Sankranthi the Sugar Cane, Ellu, Bella are the special sweets and food items. 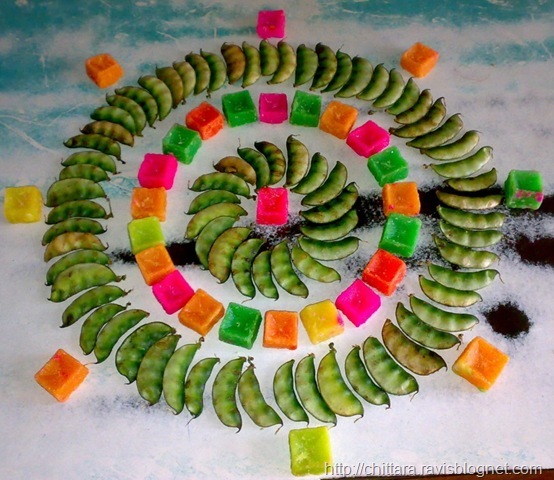 The Rangoli down here is drawn with one such food items. Thank for the information sharing. 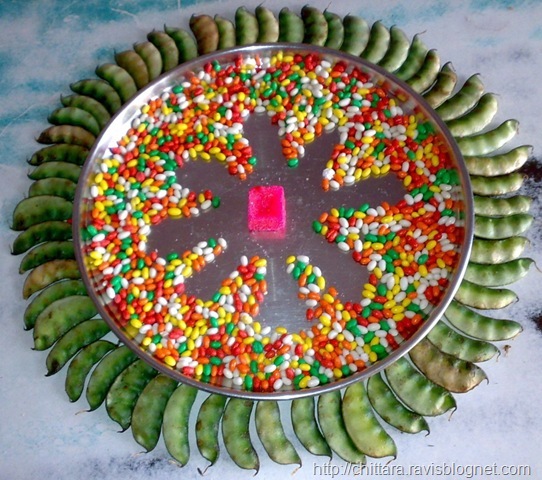 Nice Sankranti Rangali. I like it so much. Beautiful looking . Like your blog design and post .